Jacqueline has worked in the Travel and Tourism Industry and on a Film set too. 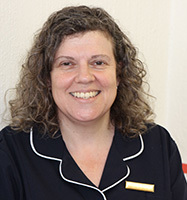 Jacqueline is a people’s person and so looks forward to welcoming you to our practice. Lebo Radebe has been qualified as a dental assistant for 9 years. She is experienced in all areas of dental assisting. She is enthusiastic in caring for our patients and is an integral and committed member of our dental team.